In celebration of springtime, the Los Angeles Zoo is hosting Spring Fling, a five-week-long “EGG-travaganza” that celebrates the season’s bounty of blooms, births, bees, butterflies, and birds. Once just one weekend long, this year’s Spring Fling will cover five full weekends featuring a wide range of activities, including live entertainment, crafts, special animal feedings, an Earth Expo, educational activities, photo ops, and more. Spring Fling is happening on weekends from Saturday, March 23 – Sunday, April 28, 2019, with the addition of Friday, April 19, 2019. Activities and entertainment are free with paid Zoo admission and GLAZA membership, except as noted. This event highlights conservation and sustainable living in celebration of Earth Day, along with “EGG-citing” programs, inviting guests to partake in a host of fun, engaging, and educational activities. Spring-themed entertainment for kids includes a monarch butterfly-themed aerialist show, roaming bee and butterfly puppeteers, honey tasting (for an additional fee), a “planting for pollinators” station with a native wildflower seed giveaway (while supplies last), a bee-and-butterfly craft station, springtime photo ops, and more. The L.A. Zoo’s residents get in on the fun with daily up-close creature encounters during Animals & You, showcasing bunnies and other fuzzy critters; along with special animal feedings, featuring Earth Day-inspired treats on Saturday, April 20 and Sunday, April 21. 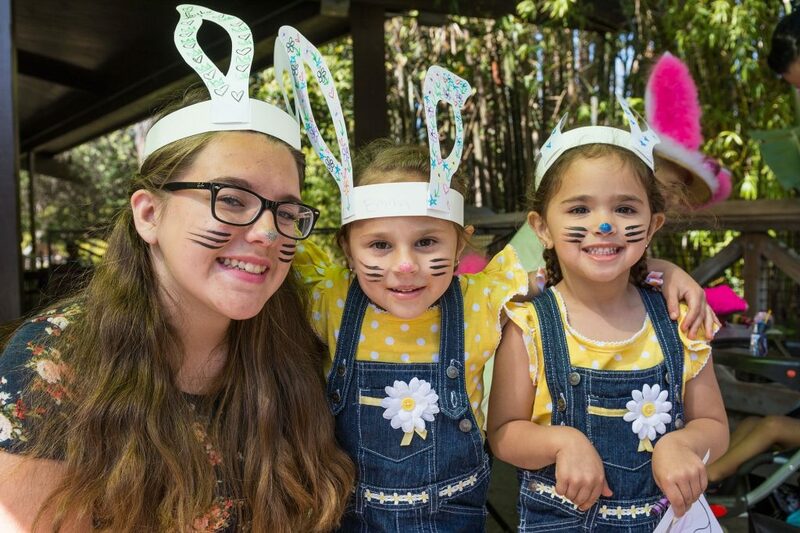 Spring Fling also includes two Big Bunny Weekends with Big Bunny photo ops (for an additional fee), and bunny-ear crafts on Saturday, April 13 – Sunday, April 14 and Friday, April 19 – Sunday, April 21. WHEN: Spring Fling is happening weekends from Saturday, March 23 – Sunday, April 28, 2019; with the addition of Friday, April 19, 2019, 10 a.m. to 4 p.m.
Big Bunny is happening on Saturday, April 13 – Sunday, April 14 and Friday, April 19 – Sunday, April 21, 10 a.m. to 4 p.m.
INFO: Spring Fling activities are free, except where noted, with paid Zoo admission, which is $21 for general admission (ages 13 to 61); $18 for seniors (ages 62+), and $16 for children (ages 2 to 12). No ticket is required for children under age two. Admission for Greater Los Angeles Zoo Association members is free. To learn more about Spring Fling and for a full schedule of activities and times, please visit www.lazoo.org/springfling.